Gain a practical grasp of 826CHI's expectations for working with children and youth. Given tools to ease into the practice of building these spaces. Begin to explore and establish a culture of learning. 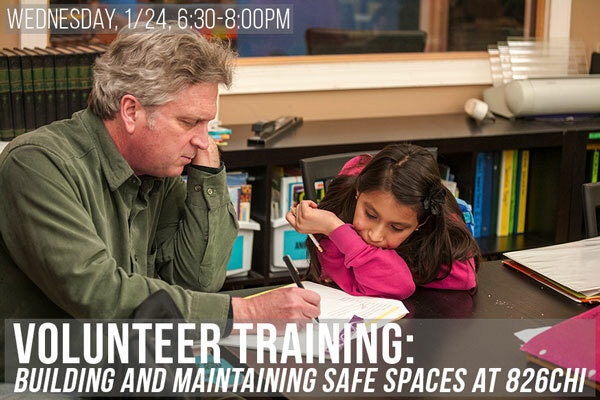 For mor info and to RSVP, email david@826chi.org.